It’s a good chance that many of you have heard the news today. With the removal of the Warhammer 40k rulebook from Games-Workshops site, it’s become apparent that 7th edition is really on its way. So far there’s been a huge swing in opinions, speculations, and rants about this. The rumor that 7th edition was being released sometime this summer has been floating about since about Christmas. I’m sure there was a group that thought it wouldn’t happen. This edition has only been out for little under 2 years (I know because I was in the hospital receiving a kidney transplant when my brother got his copy of 6th edition in the mail). However, there was a portion of the community that thought that if this did happen then it would simply be a 6.5 edition. I was one of those. I still am too a certain extent. This article is simply a long draw out way for me to get my own personal thoughts and opinions together about the “What ifs” that 7th edition might bring. For the most part, I enjoyed 6th edition. I also really enjoyed 5th edition. I will admit that there are parts of 6th edition that gets under my skin. I will admit right now that I don’t know every comma and period of the rule book. However, I am not one of those that think 6th edition is a complete wreck. I’ve enjoyed the new mechanics that have been introduced: Overwatch, Random Charge Distance, Warlord Traits, Fliers, etc. And yes, I’m even happy with Escalation and Strong Hold Assault. I know this makes me a very odd duck, but these add a flare and grand-ness that reflected the universe. If 40k is anything, it’s Big and over the top, and in my mind a lot of the new mechanics tried to capture that. Having said that, I’m not above acknowledging that 6th edition could use some fixes. 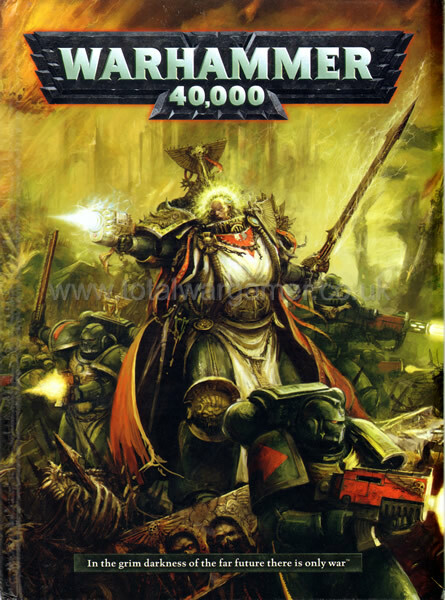 So why do I have misgivings about the approach of a new edition of 40k? My misgivings started when it became evident that the psykic powers that were listed in the main rule book were also taken down. For me, this bothers me as I enjoy using Librarians in most of my army. They are a great way to buff parts of my army when I need it. I will also admit that I love using Prescience; however, the times I dabbled with my Death Guard Chaos Space Marines I enjoyed using some of the Biomancy powers. In my mind, the removal of the universal psykic power cards can upset the enjoyment I have with Librarians. While I certainly hope they will re-release the cards bringing all the powers up to the level of Divination and Presience, Games Workshop’s track record for doing this is not very good. What I fear is that GW will revamp all the powers but make them weaker than what they are now. My hopes are for the update to reward multiple play style be it assault heavy or shooting heavy. 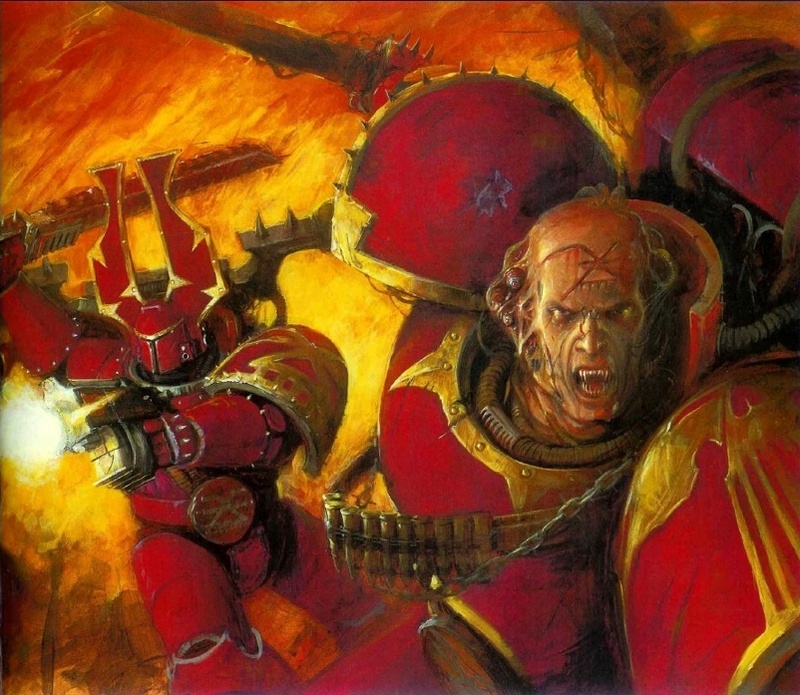 I hope the speculations are true that the new edition is just a repackage of 6th edition with Escalation and Strong Hold Assault wrapped into it. Maybe they will even put it in black and white that Forgeworld is legal or official. I hope for a lot of things; however, the nagging part of experience and history keeps popping up in mind to tell me that this may not be true. I know a new edition will not help getting rid of many of the things I think players face on a daily basis; Net lists and Deathstar units were around in previous editions. A new edition will likely not fix the imbalance with most the army codices. I’m afraid that a new edition will only make those imbalances even worse. Tau is powerful not because of what the main rulebook says, but what the rules in their codex says. A new edition could curtail the problems that players have experienced with allies, but I believe that the box has been opened and may not be easy to close. Yes, there is a small part of me that feels this is a money grab and causes me to take another step towards the camp that loath Games-Workshop. Is this an edition that could be easily handled with FAQs and Erratas? I survived the cross over from 5th edition to 6th edition. My collection is large enough that only an absolutely complete over haul of the whole game with Space Marines being changed in ways that I can’t imagine would affect me. I don’t want to seem like I’m whining or ranting. The fact is that I’ve come to enjoy using units that I haven’t used before or in sometime. A new edition could see those units go back into my box until some other edition. There’s also the simple fact that I’m lazy. I have, in my mind, only begun to get a handle on my play style and tactics, and I really don’t feel like doing that again. I really want to hear what you have to say. Do you have the similar hopes and fears as I do? For me, I think only through dialogue can I get a grasp on what really is bugging me with the coming of a new edition. I want to start off by making things very clear for those that can’t pick up subtlety, and who may not understand that the above image is directed towards those that take to any public forum in a rage whenever they feel Games Workshop has done anything they feel is less than perfection. I really am curious to know if this is a behavior that is unique to the internet community, or does it manifest itself in the real world as well. Recently, I find myself bombarded almost on a daily basis with rage and hatred concerning Games Workshop on the various sites and forums that I browse. Most recently are two instances that have caused me to take to my blog and post my own thoughts. Three days ago Beasts of War posted a small little article on the recent release of the Tau FAQ. The article itself is only three paragraphs, and deals with the Tau FAQ being released the same day the new codex was. However, the post was able to generated 85 comments. Most beating Games Workshop for some wrong or another. The prevailing opinion was that because we are buying their product at a “high” price we should expect nothing less perfection and high quality. I have to laugh because many of the supporters who want GW to have high standards and no mistakes could not be bothered to apply those same standards to their five or so line response for missing words, misspelling of simple words, basic punctuation, and basic capitalization. Take a look at some of the comments, and if you have a mind-set like me, then you’ll find the dichotomy ironic and laughable. I paid $18,000 for my Ford truck. I recently had to spend $2,000+ to repair my engine of a problem Ford Motor Company knows about, but said that because it has happened to enough people, they don’t have to pay for it. I guess I should have told them that because I paid $18,000 I expected there would be no problems. Then today, one of the top posts today on Dakka Dakka was the complaint story of a retailer who attended ACD GamesDay in Madison, Wisconsin. Posters said that this event was covered in a few other threads, but with no links there is no way to corroborate the original poster’s story. In short, because the Games Workshop reps where having technical problems, did not give them the answers they wanted during the impromptu Q & A, and where a no-show at demo time, they were a poor company that was destroying themselves and their customer base. It didn’t take long after that for the GW “bashers” to out number anyone who spoke in any shade of support for GW. Based on this individual’s story, which I take with a grain of salt, I’ll agree that criticism could be leveled. However, I have no comparison to base any criticism on. Did any other company have technical problems? Did other companies not show for demo night? What company when asked critical questions about any of their practices doesn’t throw out “canned company lines”. These are only the most recent examples of the internet community going into a blood rage whenever GW does the slightest thing wrong. If you dig further back, you’ll find plenty of other examples, which is why I decided to write this post. I have no doubt that I will get plenty of flack for the statement that I’m about to make, but I want other like me to know you are not alone. I am happy with Games Workshop and when compared to other table top games, they are just as good if not actually better. I hope to explain myself and why I think while also providing some rebuttals to the most popular arguments leveled at Games Workshop. The biggest argument that is brought up when “criticising” GW is the price. I can’t help but feel this argument is weak as GW’s products are competitively priced. If I may, I would like to use Privateer Press, which to many in the internet community can do no wrong, as an example. Browsing their store, which I’ll go on a tangent for a moment. They have a banner stating to allow 3-4 business days before an order is shipped. Most items on GW’s site ships within 24 hours. However when it comes to price, all of the Warmachine starter products are $49.99. One of the starter boxes only contain 3 models. As for rule books, all the Warmachines books that are posted are $34.99 and soft cover. I throw these figures to show that the price argument doesn’t hold much water. The price difference between Privateer Press and Games Workshop is almost negligible in my book. I’m going to be paying $40 to $60 dollars buying a product from either company. I feel it would also be fair to address the idea that GW makes rules to sell new models ideology here since is also deals with price. I really find this argument, ideology, conspiracy theory confusing and irrational. When I look at a codex entry for some of the new models I don’t see some grand plan to sell that model. At my local game store, I don’t see Forgefiends/Maulerfiends, Mutilators, or Raptors flying off the shelves, and I have yet to see them in any of the games I’ve played. With the Dark Angels codex, I don’t see a lot of love for the Nephilim/Dark Talon, and I certainly don’t see the point in buying a land speeder Vengeance. The Chaos Daemons didn’t get nearly the same number of new models that the previous two codices got, and those to fall into a similar pattern: some of them are good, but nothing I must absolutely have in my army. Looking at the track record, if GW was writing rules in order to sell new models they release with the codex, then they are not doing a great job at it. The most recent complaints deal with quality. Sadly, I think this is a damned if they do; damned if they don’t issue for GW. For a long time, people complained that codices weren’t being released fast enough; however, now that a new codex comes out every other month people are complained that they are coming out too fast. They are complaining about the hard bound books and seem to pine for the soft cover codices that began to fall apart after a few month use. As the comments to the Beasts of War article, people are now complaining that FAQs are coming out to quickly instead of the months it used to take in the not so distant past. I would love to know of any company that put out a perfect product the moment they released it: never having to change it, modify it, or update it. While I can certainly support some of the quality arguments that are going around, I even stated some of my own in my Dark Angels editorial, I am not naive or dumb enough to think that other companies put out a perfect product. Even with my own editorial on Dark Angels, I know and hopefully communicated well enough that most of my disappointment was largely due to me being a huge Dark Angels fan, and that my expectations where probably too high. I am big enough to admit that the codex is good, and that I’ve had a lot of fun with it over the last few months, which is why I haven’t post a part two to my editorial. However, it seems that many use the quality argument to heap scorn and hatred onto GW and to stir up hostility and bitterness in the community. If these people are so angry and bitter towards GW then please go and play another game and leave us that happy with our game alone to enjoy it. If you have made the decision to stop buying GW products and playing GW games, great I hope you are happy with your decision, but please don’t advertise it every time there is a critical discussion about GW. As I stated, I’m happy with Games Workshop. I will admit that I don’t have experience with other game systems, but I have begun to explore other options. I’m looking at other games to play not because I am unhappy with Warhammer 40k and Games Workshop, but because I simply would like to play something different. However, I think I remain happy with Games Workshop because I keep a couple of things in mind: it’s a hobby and game and Games Workshop is a large company. Very few companies are going to get everything right all the time. I remember a time when Apple Computers all but disappeared from the computer world. When you have thousands of people working all with different goals, thoughts, opinions, and believes, there are going to be problems. However, the most important thing I keep in mind and why I’m still happy with GW is that it is a hobby and game. I buy, paint, build Game Workshop models and play their game to relax, blow off steam, and spend time with friends. I feel too many people lose sight of this second point far too often. As I like to say, though it seems I’m saying it more recently, it’s a game. Warhammer is no different from Monopoly or Chess. Just enjoy it.